This is basically a super meaty, super fast beef meal that takes traditional Bolognese, steals its lunch money and forces it to dirty up its Versace suit. Eat it as-is, in a casserole (see Mouth Money – Day 9) or on top of spaghetti squash. Cook the chopped bacon until the fat is rendered out (or just start with the bacon fat). 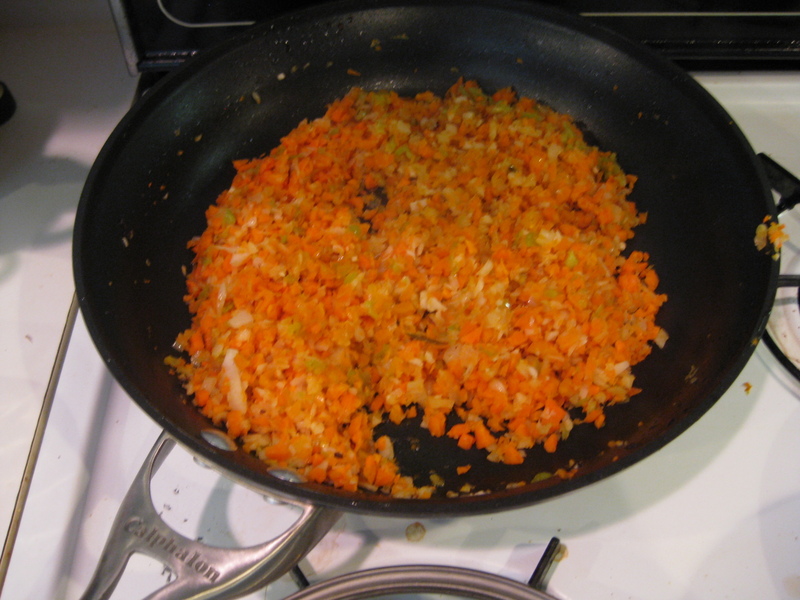 Add the carrot, onion, celery and garlic and lightly fry (in traditional Bolognese this would be called “making the soffritto portion” or “being a snobby Italian”). After a few minutes veggies should be soft. Add the beef and cook well. Add the spices, tomato paste and tomato and combine, cooking the whole time. Let the entire mix simmer for 15 minutes – or longer. I also added the green pepper to the mix. It's easy, it's got some veggies in it, and it's got multiple uses. What's not to enjoy?